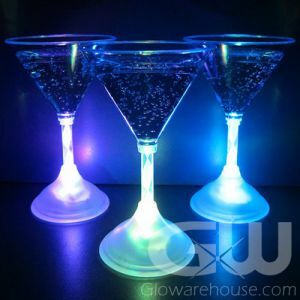 - Glowing Jello Shooter Injector Syringes! 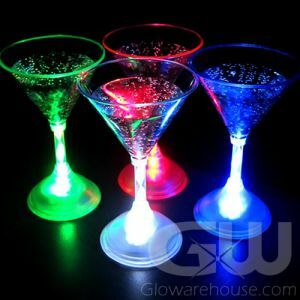 - Holds a 1.5 oz shot of Jello or Liquid! - Bars & Clubs! Celebrations! Parties! Sold in sets of 3 that include Green, Blue and Pink. 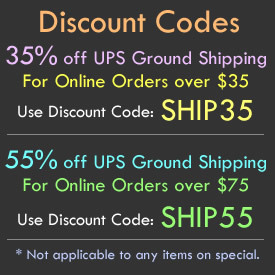 Minimal order is 3 Packs. Price is per piece. 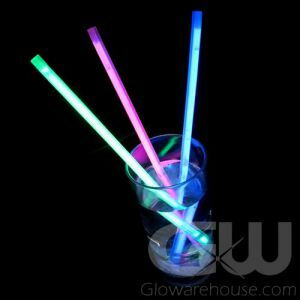 Glow in the Dark Shooter Injector Syringes will shoot some colorful jello fun into any glow party! 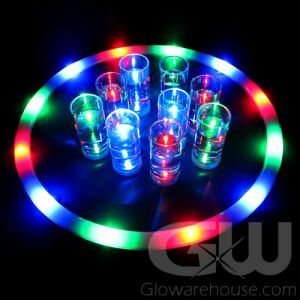 The Glow-Shot Glowing Injector can deliver both liquid shooters and Jello shots! 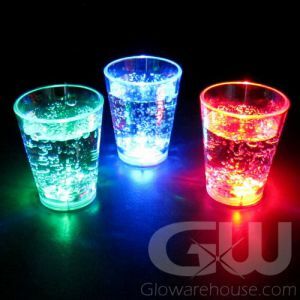 The Glo-Shot Injectors is sold in sets of 3 that include 1 Green, 1 Blue and 1 Pink glowing shooters. 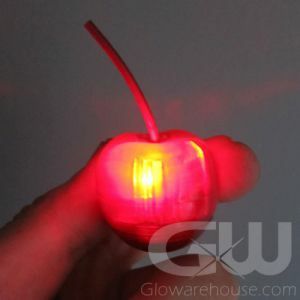 The Glo-Shot Injector is made from a Food Safe Grade plastic and will glow up to 6 hours. 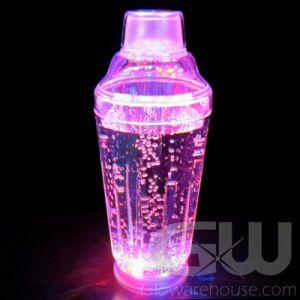 Prepare your favorite shots or Jello shots in this fun glowing injector syringe and have them all ready for the party. 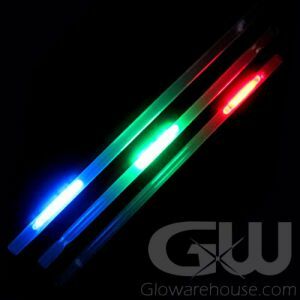 To activate the Glo-Shot Shooter Injector, just bend or squeeze to start the glow (Like a traditional Glow Stick). 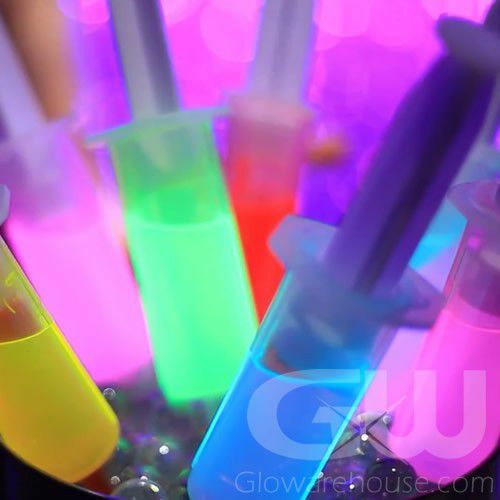 To fill up the Glo-Shot, place the end of the syringe into a Jello or Liquid shot and pull the plunger, which will load the shot. Then simply push the plunger to eject your favorite shot! Note: Don't put the Glo-Shot Injectors in the freezer as this will stop the glow reaction.